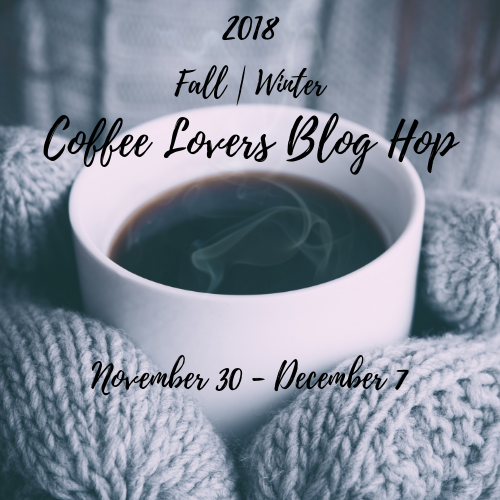 Create With Me: Fall/Winter Coffee Lovers Blog Hop! Yay Julia! Your card is so fabulous. 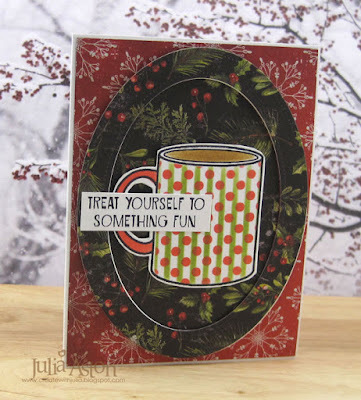 Love that great mug and your paper choices are beautiful. What a neat gift card holder! 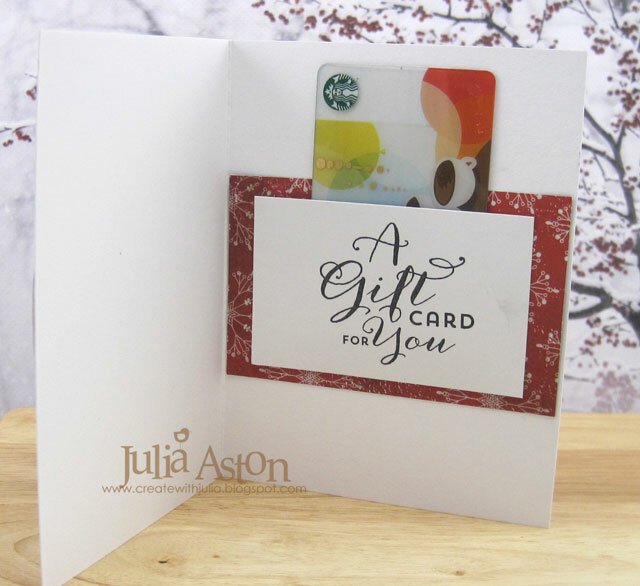 What a fun way to give a gift card for coffee, Julia! Love that mug! Awesome card and love the gift card design. Great papers. I love the papers you framed your coffee cup with! Sooo pretty! Lovely use of the DP! And so perfect have a slot for a Starbucks gift card inside! Great idea for Christmas giving. The oval die cut looks fabulous and adds wonderful interest to your gorgeous card. Love the idea of the gift card inside too x. Beautiful card with the Christmas papers and what a neat thing that it houses a gift card too. Such a beautiful gift card. What a super fun card. Love the surprise inside!